What firms will suffer most as PwC makes its mark on legal market? The new head of PricewaterhouseCooper’s (PwC) growth agenda for its Australian legal practice had no qualms in saying that it will be sure to maintain the pressure on large traditional firms. Australasian Lawyer spoke to the former King & Wood Mallesons’ managing partner Tony O’Malley, who alongside Tim Blue – another former managing partner of the firm – was set to ramp up PwC’s Australian growth agenda, which has a targeted annual legal services revenue of $100 million plus. But the goal is to build a multi-competency legal practice on a global scale, and O’Malley says his team will be working closely with the broader PwC network to support the development of complimentary practices in key regional markets. “Competition in the legal services market is already fierce and all firms are under intense pressure to continually deliver better value for clients. There is plenty of room in the Australian market for us to co-exist with the big firms and in fact for us to work with each other in areas where we do not compete,” he says. Australasian Lawyer asked a group of legal professionals here what consequences such a move could have on competition, and crucially, which firms will be the most affected. We also explore what the remaining players of the Big Four accounting firms, Deloitte, Ernst & Young and KPMG, have in store. 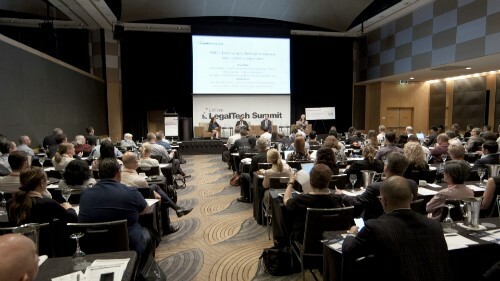 Andrew Barnes, the president of the Australasian Legal Practice Management Association (ALPMA), says the association - which has a membership base predominantly through the small to mid-tier market, but with many alumni and friends in the large firms - is watching “intently” as to what plays out. The recent reintroduction of the big four accounting firms into the Australasian legal market is a significant development, he says. “Their recruitment activities show they are not just looking to tuck in the tax controversy work to synergise with their regular client work. These actions will be played out at the top end of the market, but there may well be some cascading effect to the next and lower tiers. Barnes adds that now more than ever the lines between what constitutes "legal" work and "non-legal" work are being blurred. He points to the UK the licencing of Alternative Business Structures, which he says is taking hold at quite a rate with some “real success” stories emerging. Holding Redlich partner Amanda Davidson agrees that the new emphasis by the major accounting firms will put pressure on the corporate groups of traditional firms. “The firms most likely to be affected are those firms whose core corporate clients are shared with the major accounting firms. This could have a significant impact on both the major firms and mid-sized firms,” she says. It’s possible that PwC’s new multi-competency legal practice offering could pave the way for even more professional service firms to make their move into the Australian market, she says, depending on the clients’ requirements. Aldrin De Zilva, the national lead partner of Deloitte Lawyers, one of the Big Four professional service firms, says the team currently consists of 42 practitioners across Australia, and has 10 fully qualified legal partners. He also added that Deloitte has a very strong relationship with a number of top-tier law firms and plans to continue that. A representative from Ernst & Young told Australasian Lawyer that the professional service firm currently has approximately 20 partners and 120 lawyers. But by the end of the year, the firm wants to boost that up by close to 43%, bringing the total number of lawyers and partners to 200. And the remaining Big Four member, KPMG, also has significant growth plans. Jeremy Geale, the head of tax dispute management, says within the multidisciplinary legal practice the firm has 10 partners and executive directors, one special counsel and approximately 20 professional staff. “We anticipate substantial growth with the practice is least doubling in size over the next few years,” he says. There's not much of a story here. It's just history repeating itself. PwC was saying the same things 10 years ago when they took Dunhill Madden Butler's Sydney office. Others like KPMG, Ernst & Young and Arthur Anderson were making similar noises. Then their business model got snookered by the Sarbanes Oxley Act. MDPs are dead as a business model and the argument that clients want a multidisciplinary offering in this day of age of cost savings and a plethora of choice of specialist boutique, mid tier and large firms is unconvincing.